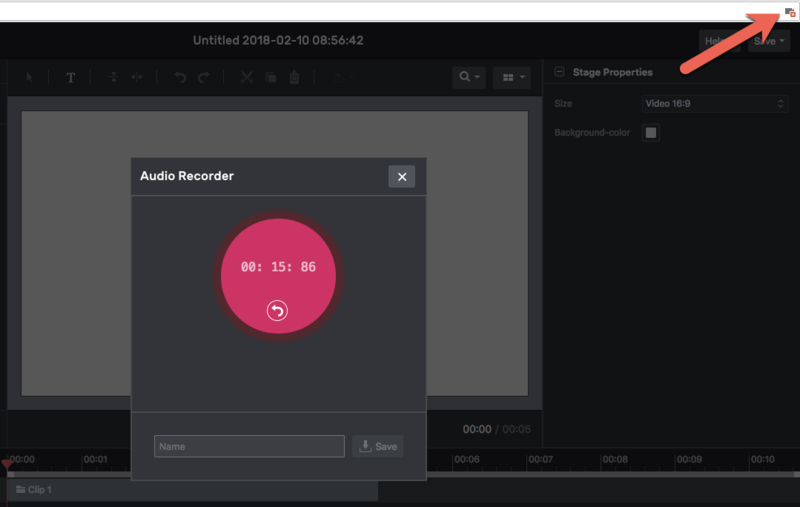 Moovly Studio contains a Record audio option that lets you add sounds that you record with your computer's microphone. (Note that you can also record sounds with your smartphone or tablet using the Moovly app). 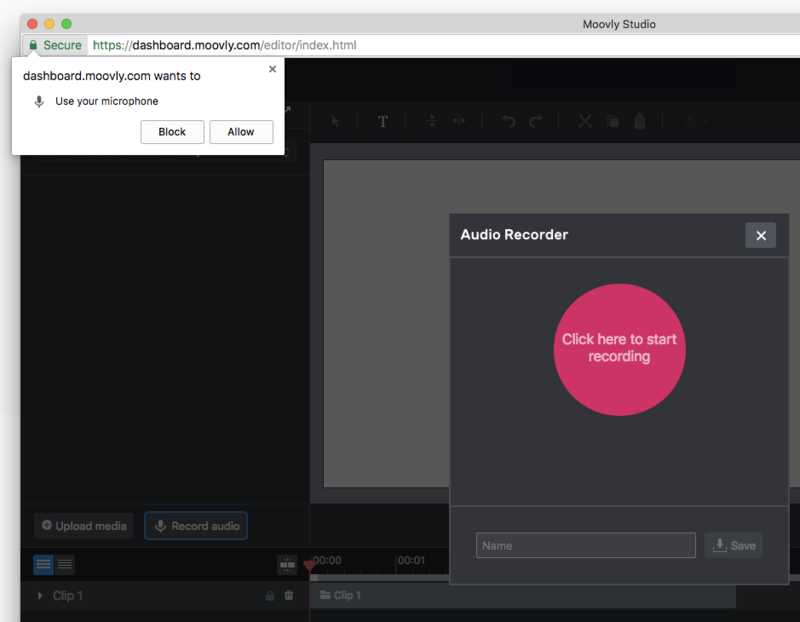 As Moovly Studio is a browser-based application, recording sound also happens via your browser. 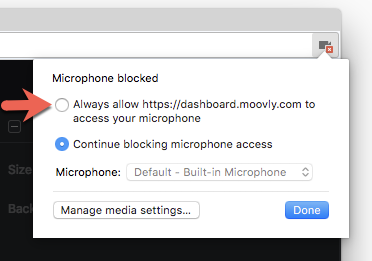 This requires your browser to accept access to your microphone, which is a setting that is not always enabled. 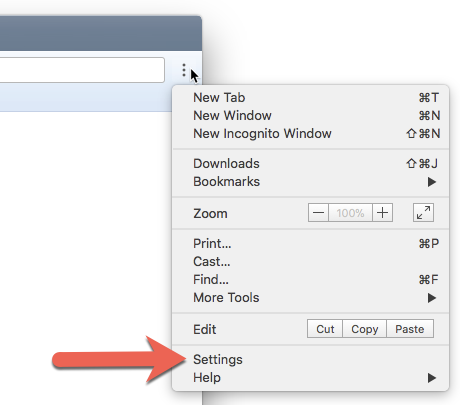 This FAQ describes how to verify and fix this setting in Google Chrome. Click the option that allows access to your microphone. In these settings, go to Advanced Settings -> Privacy & Security -> Content Settings -> Microphone. There you can add Moovly to the websites allowed to use your browser.